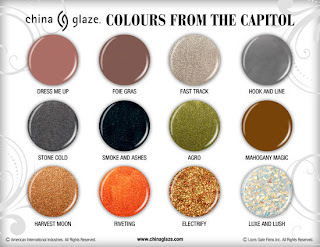 I admit I am strangley fascinated by The Hunger Games nail polish line created by China Glaze. It is going to be released on March 1st. What shade will you be wearing when you go to see the games on March 23rd.